Taxpayers are on the hook for more than $2.2 billion in expected costs from the federal government’s energy loan guarantee programs, according to an audit by the Government Accountability Office that suggests the controversial projects may not pay for themselves, as officials had promised. 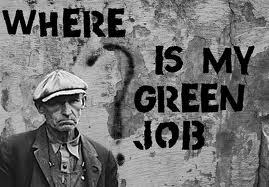 The green program loan guarantees were created in a 2005 law and boosted by the 2009 stimulus. The first applications were approved in 2009, and through 2014, the Obama administration had issued some 38 loans and guarantees, covering 34 projects ranging from nuclear power plants to fuel-efficient vehicles to solar panels and wind-generation technology. – Nearly $1 billion in loans have already defaulted under the Department of Energy program. – Across the entire loan program, the five defaulted loans belong to companies the GAO warned were risky. – GAO investigators have been warning for nearly a decade that the loan programs are unlikely to pay for themselves. The GAO reported to Congress that, “As of November 2014, DOE estimates the credit subsidy cost of the loans and loan guarantees in its portfolio — that is, the total expected net cost over the life of the loans — to be $2.21 billion, including $807 million for loans that have defaulted.” Meanwhile, the Energy Department said it considers the loan program a success.